We had drifted quite far from civilization and into strange seas. But being the explorers that we are, we decide to ride these seas and find the lands hidden in them. Sailing through the tranquil oceanscape, me eyes spotted a huge temple in the horizon. The temple must be on an island of course so we set out towards that temple and lo behold soon enough me lookout announced the approaching land. This island be a strange sight and I don't mean that in the flora and fauna way. There were rarely any restaurants here. After walking a bit, I spotted a small tavern called Grandmama's Cafe. There was something about this place, it was calling out to me. So it was decided, me and the lads will eat our lunch at this Nana's grub house. Captains Note : This is a long post me readers but its also me favorite one. I poured me blood and sweat into it. Possibly some coffee too. I would love it if ye read it till the end. Thank ya. The entrance looked quite idiosyncratic. I mean how often does one see an actual bicycle pinned on the signboard. Was it because the kid in the ET Movie somehow ran into the board while flying? Regardless of the mystery, it certainly was eye catching. Grandmama's Cafe's entrance reflected a mix of Victorian era, 60's India and a modern cafe culture. As obvious from the pictures, the place has both an Al Fresco and an indoor dining. Not wanting to be the dense adventurous bloke who wants to sweat it out on a hot day, I went inside. 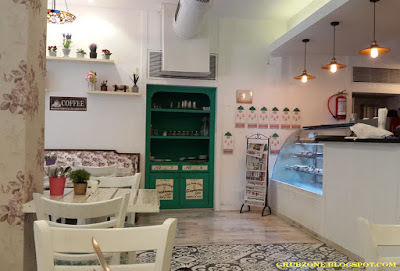 The indoor ambiance gives a very comforting and a warm feeling. It reminded me of my time at Ville Vandre but GM Cafe is much larger and comfortable. The music is subtle, no in your ear pop music. The walls are adorned with artifacts which are personal possessions of the owners, some of them literally being family heirlooms. The personal touch is strong on this one. 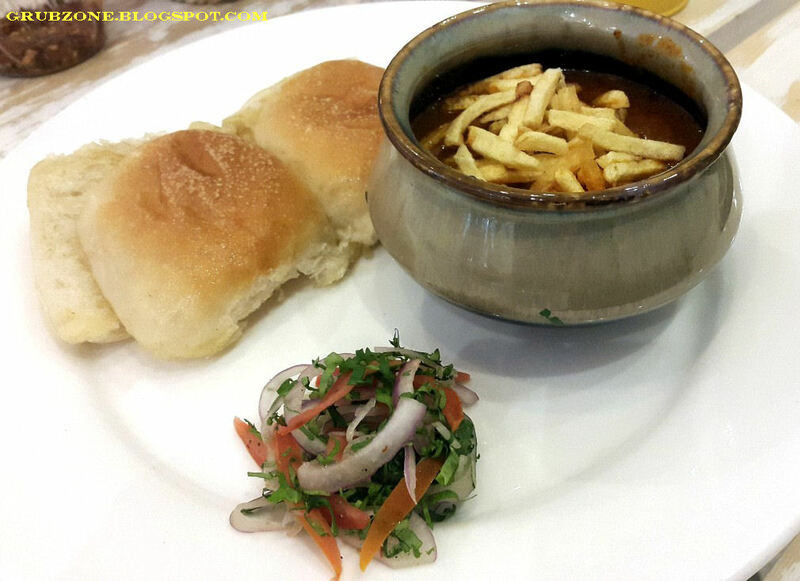 The cafe is managed by the latest generation of the family behind well known Pritam group of hotels. The owners have lovingly decorated the cafe and its visible on the walls, the ceiling and even the door. And they are personally present on the premises at most times. Unlike most cafes now days which follow a standard cookie cutter model, GM has actually taken a different route and offered something unique. Dadar East isn't as famous as the west side but this place definitely is a highlight of this district. 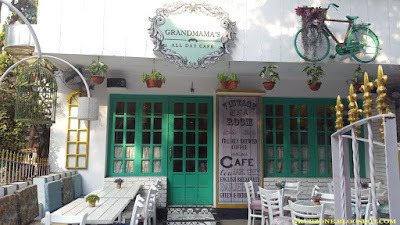 In fact going by all my food experiences so far, I'd say Grandmama's Cafe was among my top five experiences in India. The service was ample and professional. The Cafe was quite crowded when I had come and yet the service was sufficient, no table without a Captain. It was expected from a hospitality group that has been around for more than sixty years. What was unexpected was that the Cafe was doing such brisk business on only its tenth day. My expectations were growing larger by the minute. 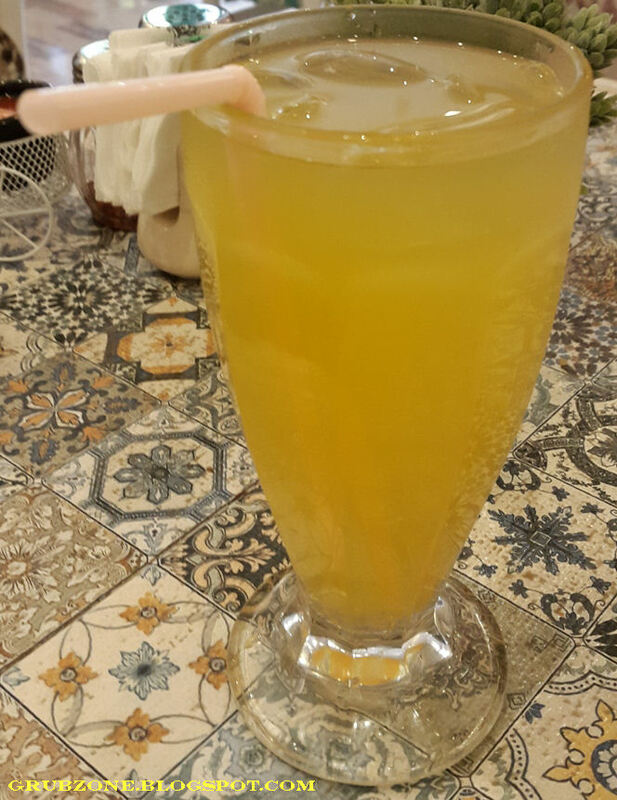 Country Lemonade was a mixture of lemon and sweet orange juice. Unlike regular lemonades, this was sweet with very little acidity. It acted as both a refreshing drink and a nice palate cleanser in between different dishes. The taste was pleasant and subtle. No high notes of sweetness or tartness anywhere. Though a good drink, it does run the risk of facing criticism from normal diners who associate any term with the word lemonade as a sour desi shikanji. Grandmama's Homemade Ravioli was a dish made from the owner's Grandmama's personal recipe. It was love at first bite for me. The dish can easily make a Le Cordon Bleu graduate jealous. The flavor was soulful with a mix of pumpkin gravy and a dill cream cheesy broth with a touch of sage. This spicy liquid was quite the aromatic elixir and the ravioli was one with the liquid. The dish was vegetarian but easily one of the best preparations that I have ever had, in my life. I scraped the vessel clean, if that is any indicator of how much I savored this. The dish was a house specialty made with a family recipe thus it cannot be found anywhere else. Captain : My head is shaking from the explosion of vibrant flavors in this dish. Crewmate : If that actually happens, can I be the Captain? BBQ Chicken Pizza - I love how GM manages to pull off a diverse menu without any flaws. This tasted much similar to BBQ pizza at any decent pizzeria. Large chunks of barbecued chicken with an adequate drizzling of BBQ sauce and a generous amount of cheese on a flat base made this a sumptuous pizza. It was quite light as well. 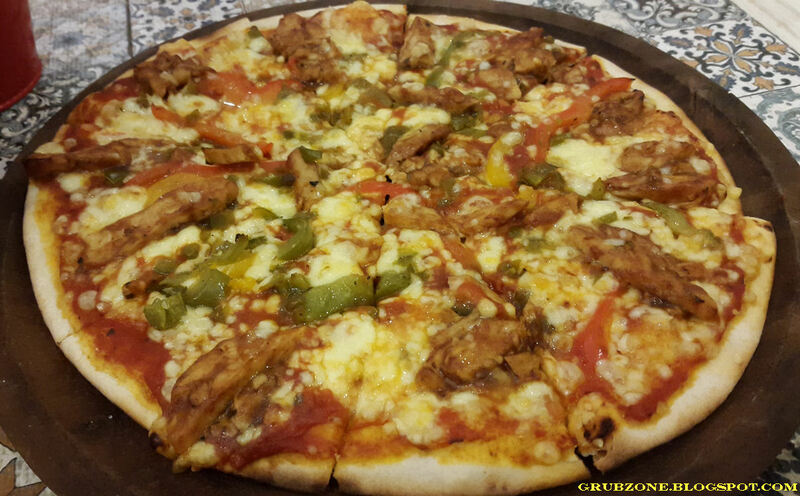 Though not the best variant of a BBQ pizza, it was a steal for being a nine inch pizza at only INR 210. There are places that sell just one slice of bad quality pizza for that amount. Keema Pav was said to be a house specialty if Twitter was anything to go by. I am extra skeptical about frenzied folks on twitter using phrases like mind blowing, awesome and spot on. However try as much as I did, this dish had no flaw in it. 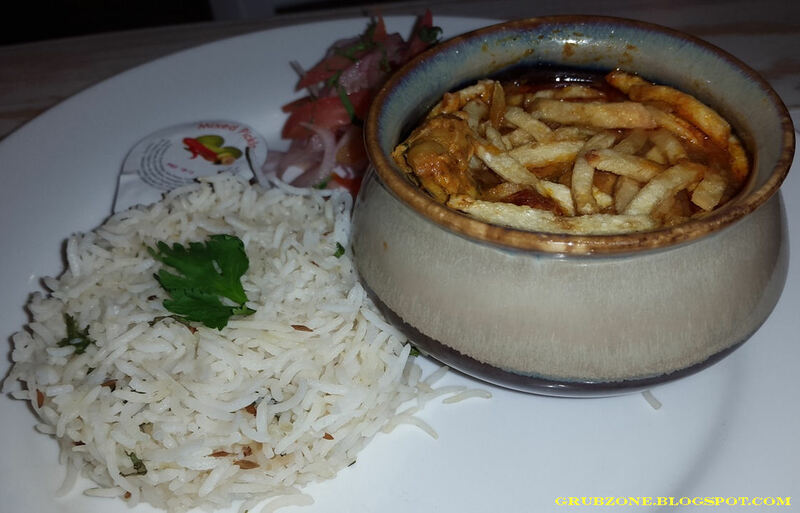 It was a delectable lamb curry with just the right amount of onion, tomato and it was embellished with masala. The fries added a crunch element, one has to mix the fries in the curry before eating. I think I will have to agree with the social media folks on this one. This was the most perfect Keema pav I have had. It wasn't mind blowing, it was mind warping. It would take you to the land of fine food in an emotional ecstasy or should I say ecs-tasty. Captain : The Grandma who made this must be the Grand Master of cooks worldwide. Crewmate : Maybe we can enlist our hack of a ship cook in her class. Captain : He won't probably come back after he starts cooking that good. Chicken Tariwala. 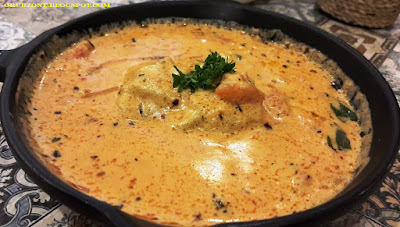 Coming from a North Indian household where Punjabi home cuisine was used quite a bit, this flavor felt very familiar to me. Indeed, it was the same thing I last had fifteen years ago at home. With the advent of fast food and dining out culture, this old home favorite was forgotten in the pages of time. It almost made my eyes moist upon tasting what I had left behind and the beauty of things from the past. This coriander chicken curry with North Indian spices felt very home made but light and whole compared to things like Chicken Makhani or Shalimar. Again at 180 INR, it was quite a steal. 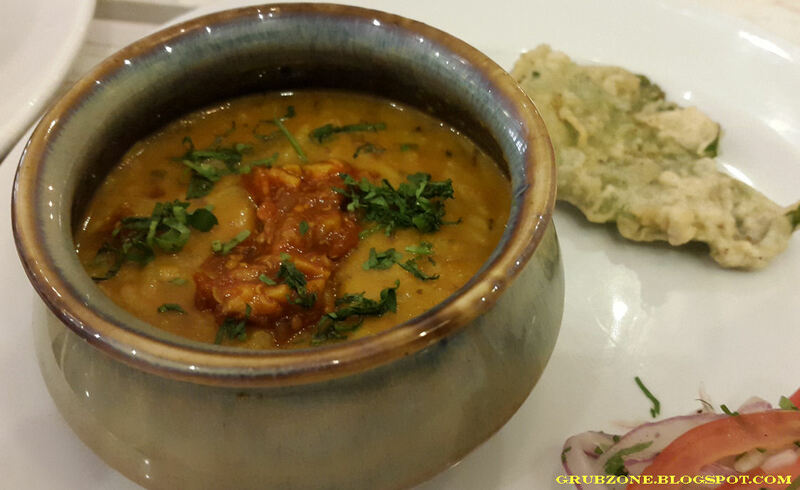 Bibji Ki Achari Khichdi was a mix of the classic homemade Khichdi rice with pickles at the bottom. The treasure trove of spices and the buried pickle boosted the flavor of the legume rice to a different level altogether. The tanginess from the pickles was quite addicting. My spoon kept diving to eat more grub from the bottom, until I realized that I had completely devoured everything. The restaurant's Grandma theme was playing quite well as far as food was concerned. Done with the mains, I sampled some of Cafe GM's fine desserts. There were a lot of choices so my four were a small sample. And to note, all desserts were of high quality. Identical to what I find in patisseries inside five star hotels. 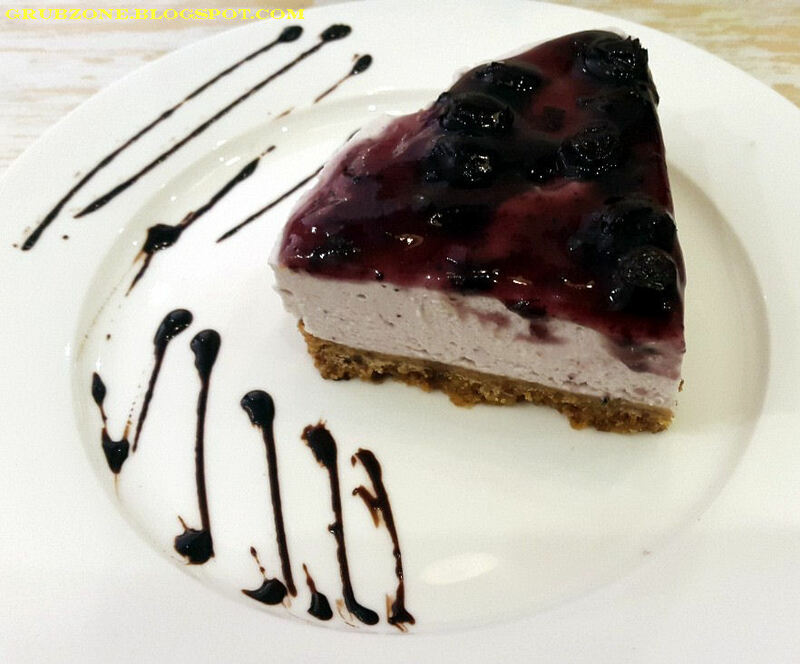 Blueberry Cheesecake was an unbaked eggless variant similar to that found in most pastry shops across Mumbai. But GM had used a superior biscuit base and the pastry had a much better flavor than the run of the mill blueberry cheesecakes. For one, the blueberry actually tasted like real blueberry and compote rather than the syrupy flavor I feel elsewhere including at places like Indigo. Caramel and Chocolate Mousse was one of the newer additions to the menu. It definitely was artistically presented looking at its shape and chocolate sauce graffiti. The mousse was quite airy with a soft base. This was a milk chocolate mousse which was sweet and creamy. There was a hint of caramel in the undertones. Not that I didn't like it, I still felt that this could do much better with either more salted caramel or Toffee sauce and a little less milk chocolate sweetness. Grandmama's Biscuit Cake was very humbly named for the absolute delight that it was. This was a crunchy biscuit sandwich filled and topped with rich, creamy and dense Chocolate ganache. The popcorn at the top added extra crunchiness. 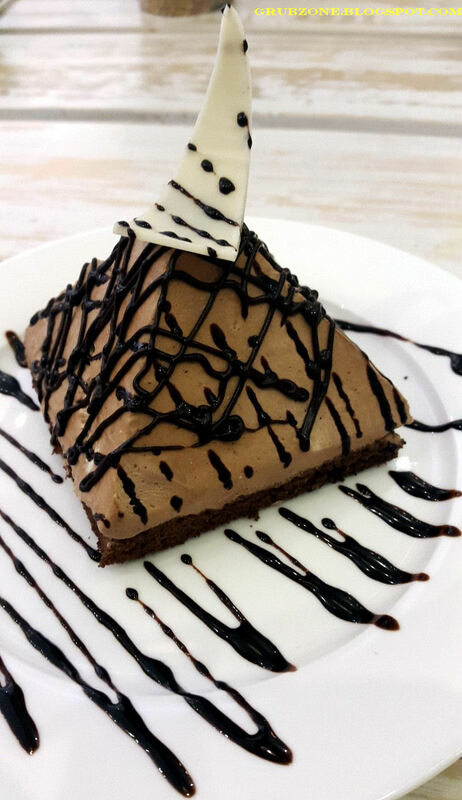 The ganache was made out of dark chocolate and felt of premium quality. Each bite into the pastry would make the ganache bleed out like a never ending waterfall or Chocofall. 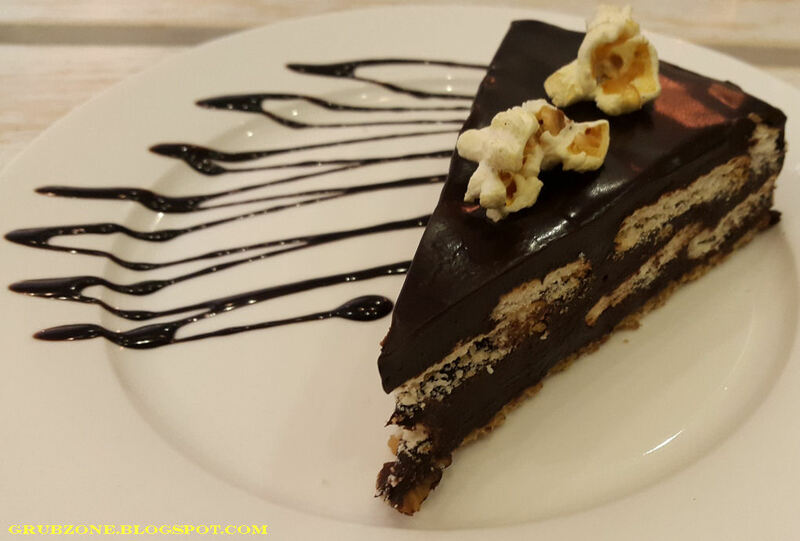 Richly sweet, mildly bitter and a whole lot of crunchy - This was easily my favorite dessert at GM cafe. I am salivating as I write about it, maybe I should have toned down on the detail ha. Captain : This cake be like Beethoven's melody. Crewmate : Pray tell how Captain? Captain : The balanced rich flavor, the creaminess and the crunchiness are all in sweet harmony. Crewmate : That makes no sense apart from the sweet part. Captain : Ah! perfido – Per pietà, non dirmi addio. Crewmate : Neither does that. Baked Philadelphia Cheesecake was a good quality Cheesecake. 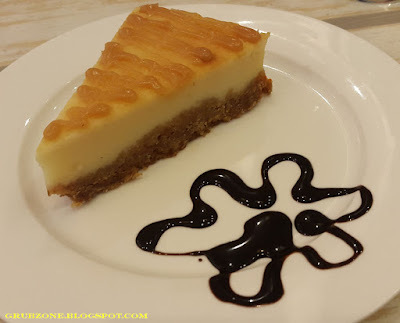 It tasted quite similar to Starbucks now discontinued Lemon Jazz cheesecake which was my favorite dessert at Starbucks. This was a true baked cheesecake made with cream cheese and eggs. The glazing at the top provides the lemon undertones which again was a welcome addition. Mandarin orange and Jasmine Green Tea. I was rather full by this time feeling quite heavy and sluggish. I may have had food equal to a small army's rations and lunch time had become tea time. Drinking green tea was an ideal way to beat sluggishness. 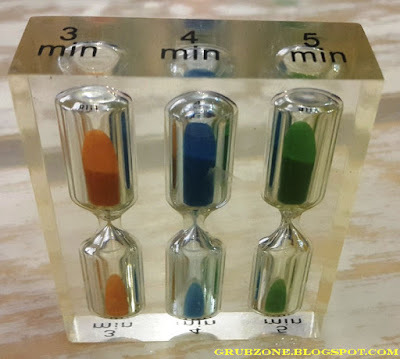 This tea takes five minutes to reach its ideal flavor and to make sure that you don't mess it up with your smartphone stop timers, they even provide you this little trio of sand glasses. After the five minutes pass, one can use the piston in the serving jar to re mix the ingredients and push out more flavors from the leaves. Then one can serve themselves a fine cup of tea on a lazy afternoon. This brew had an almost magical flavor of floral senses. There was an undertone of Mandarin but the flavor was dominated by Jasmine. 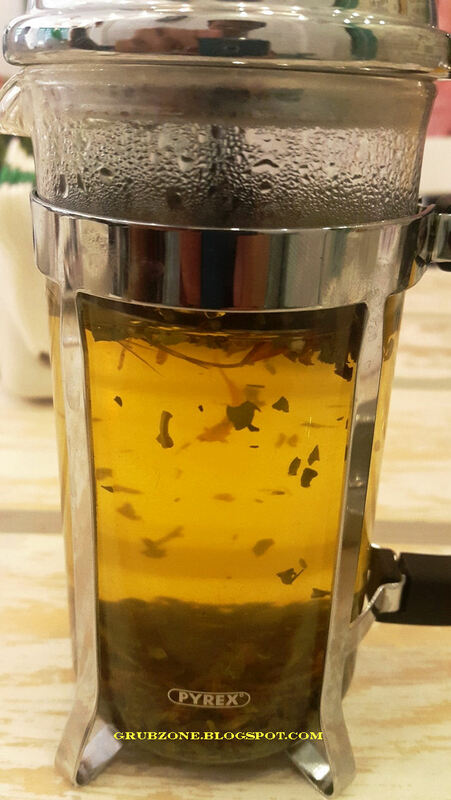 I have had green tea before but never have I found such a perfect infusion of floral themes in tea. So there indeed is a difference between real green tea and conveyor belt green tea. GM's Green tea carried a mesmerizing enchantment of some sort. My sluggishness was gone and I could easily march a dozen miles. Captain : This easily beats Earl grey in the afternoon lad. Crewmate : Woah, you are starting to sound like a Navy Admiral Cappy. Captain : This tea is for refined palates lad. Its incomprehensible for most scallywags such as yourself. Crewmate : Aww, that hurts Cappy. Captain : Worry not lad. I will make it up to ya. You are in charge of hull and deck sanitation services next week. Crewmate : That sounds fancy :)....hey wait...isn't that a clever way to say deck sweeping ? The pricing at Grandmama's cafe is quite light. I mean its cheaper than a meal for two at McDonalds while offering far better quality, portion sizes and Grandmama's love. Its perhaps the best priced restaurant I have found in Mumbai. This was quite a long post but I usually let the inspiration from an experience dictate my writing. Grandmama's Cafe was perhaps one of the best Cafe experiences that I have ever had. The food was excellent, flavorsome, well priced. The ambiance was comforting and inspiring. The service was excellent and the menu had diverse options. The special Grandmama's recipes are heart warming and soul touching. Whether you are a vegetarian or a non vegetarian. Indian or a Non Indian. This place is for everyone. I sense that great things will come from this place in the future. This place was amazing. Great experience and I will come back again and again. My only anxious thought is whether my words did justice to this place. The food was that amazing. "The voyage of paradise is over lads. Its the end to our reverie. Now back to the rough seas for us. This place be legendary and we WILL be here again someday."